If you’re familiar with the cold seal process in flexible packaging, you’ll know that the inner layer of the wrapper carries the cold seal adhesive itself. This adhesive will come in contact with the printed face while it’s winding off the press. In order to prevent the adhesive sticking to the graphics (and peeling it off), there must be a special release coating applied. The release coatings come in matte and gloss. But what if there’s an instance where a customer wants both? The spot gloss next to the spot matte gives this cold seal wrapper some contrast. Perfect plate registration = perfect coating. In order to give off the spot coating contrast, your printer has to have some mastery of the flexo cold seal process. Assuming this, your printer can create two complimentary plates that register together in perfect unison during the printing process. One gloss plate/ one matte plate. Having perfect registration is key. If there is any area that doesn’t contain that release costing, ink will stick to the inner cold seal adhesive, and peel off. Looking at the picture below, we can see how the matte an gloss plates join together to create a perfect fit. The gloss and matte coating plates have to register perfectly. 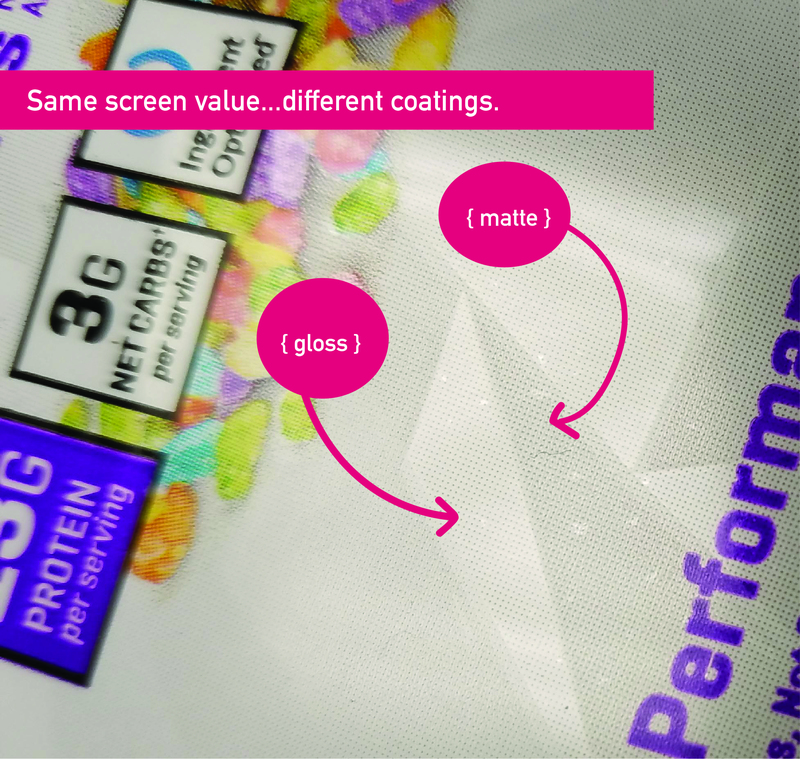 The result of spot coatings on cold seal wrappers can give your package design an edge. Be sure to ask the right questions before going through the process to see what is viable with your design and your printer.